Summer in the south, winter in the north. Seasons are caused by the tilt in the Earth's axis. 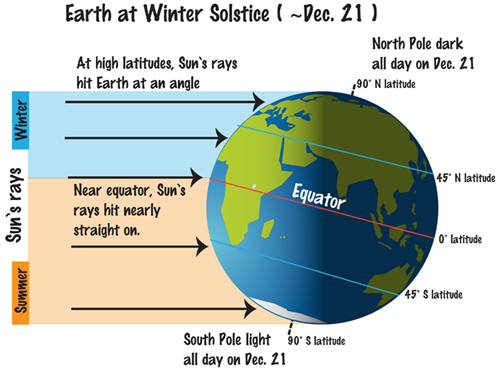 Winter Solstice is the time of the longest night and shortest day. Many ancient monuments are lined up with the solstice, which suggests it was an important moment of the year for many cultures. 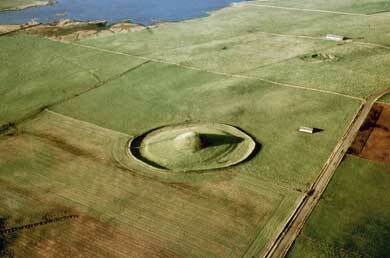 One is Maeshowe on Orkney. Others include Stonehenge and Newgrange. 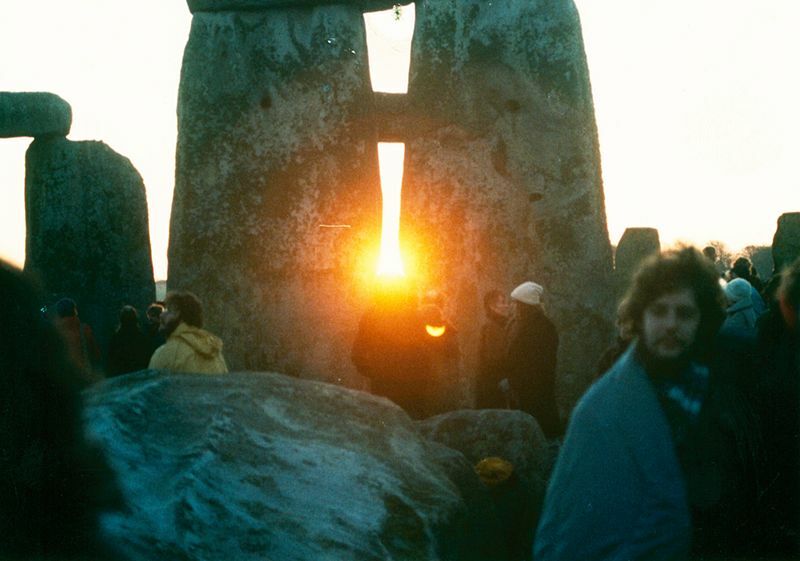 Winter solstice sunset at Stonehenge in the mid-1980s. Image via Wikimedia Commons. Archaeologists have found evidence that prehistoric people brought animals to Stonehenge from as far as north-east Scotland, to take part in midwinter feasts and ceremonies. One of the key researchers who has made a special study of Stonehenge in recent years is Professor Mike Parker Pearson. He has written a number of academic papers and books on these recent discoveries.